With July in the books we hope you have been getting the most out of summer! While we've had to endure record-setting heat over the last few weeks, August has been a little more comfortable, leaving you with no excuses to stay indoors. With events like the Canadian National Exhibition, Caribana and Taste of the Danforth, we hope you've been able to get out and enjoy what the city has to offer. While the nice weather continues until October, August often feels like the last month of summer with kids heading back to school in September. If you have children we suggest booking an appointment for a cleaning before schedules fill up with after school activities and clubs. If you are heading off to college or university, don't forget to look into your school's dental coverage. Please be aware that our office will be closed on Labour Day (Monday, September 5th). Student Coverage Ends in Two Weeks! 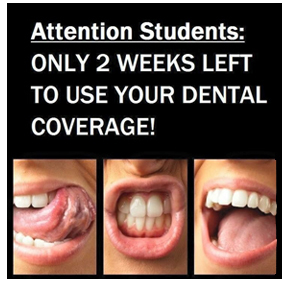 If you are currently studying at U of T, Ryerson, George Brown, Seneca, Humber, OCAD, York, Queen's, McMaster, Western, Waterloo or McGill, your dental coverage comes to an end in two weeks! Be sure to take advantage of your student dental plan and schedule an appointment before it's too late. This month Elli, our Office Administrator celebrates her 24th birthday. She plans on celebrating her birthday with friends in the Muskoka area. If you've scheduled an appointment this month or happen to call the office, be sure to wish Elli a happy birthday! We're Featured in Top Choice Magazine! 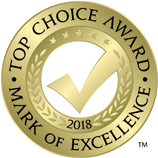 Lawrence West Dental has been recognized by Top Choice Magazine as Toronto's Top Dental Clinic of 2016! "A highly respected and recognized Dental Surgeon, Toronto dentist Dr. Nick Babatsikos is committed to improving his client's lives through excellence in dentistry. Dr. Nick Babatsikos and the team at Lawrence West Dental are focused on you, your needs, your goals, and your overall health." You can find all of our office coverage on page 77. Dr. Nick and Frieda enjoyed a fantastic 18 day trip with their boys. 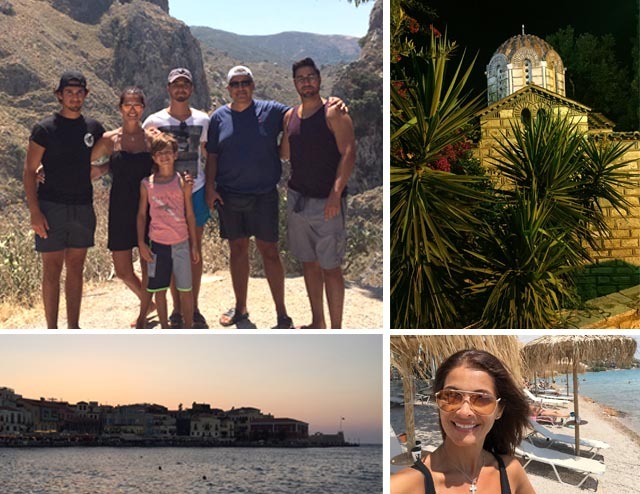 The family toured the entire island of Crete and visited the Acropolis in Athens and spent time in Vouliagmeni and Glyfada. The Babatsikos' returned from their trip with a taste of Greece. 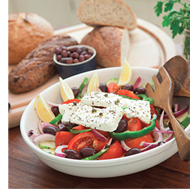 Here is a great authentic recipe for "Horiatiki" Greek Salad.